It doesn’t get super cold here in Charleston SC, but it does get a bit chilly. Because we are blessed with warmer weather for most of the year, our heaters don’t get used as much as those in the northern parts of the US. We do need some heat in the winter months. There are a number of different heating options to use. Some areas have access to natural gas, and others do not. Heat pumps, furnances and boilers are typical solutions for keeping you and your family comfortable in the winter. If you are trying to decide which heat source is going to be best for your home, please give us a call. This information combined with the experience of a comfort specialist or a service technician, will help you make an educated decision on the right type of heating for your family. 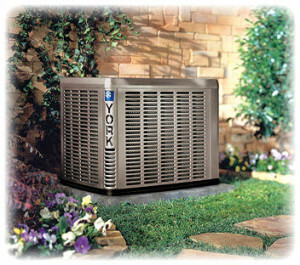 Heat Pumps – Heat pumps are a great way to heat your home efficiently. This is how they work. In the summer, the heat pump moves the warm air from the inside of your home to the outside. A heat pump basically operates in reverse in the winter. So, in the winter months, the heat pump is going to pull warmth out of the outside air and it is going to move it to the inside. It is all about moving heat to a different location. But, what if it is really cold outside? If the temperature gets below 40°F, most heat pumps are fitted with heat strips. When it is really cold outside, and there is little heat left in the outside air, these heat strips will come on to help provide you with nice warm air. Furnaces – Though furnaces are available in the Charleston SC area, they are not as prevalent as you would see in the northern US. As a matter of fact, most homes in the United States are heated with a furnace. In climates like ours, the heat pump the more “fuel efficient” option. With that being said, there are options in furnaces that are considered “high efficiency”. 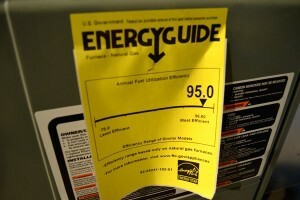 Each manufacturer is required by law to label their boilers and furnaces with an AFUE rating. What is that, you might ask? (Annual Fuel Utilization Efficiency) In simple terms, it is a way to measure how efficient an appliance is in converting energy in its fuel to heat over the course of a normal year. So, what does an AFUE rating of 90% mean? That means that the fuel that the appliance is using, is creating 90% of the energy from the fuel. The other 10% is going out of the chimney or flue. A boiler or electric furnace does not have any flue loss through a chimney. Unfortunately, electricity can be expensive and is not a good way to save money. Arctic Air, Inc., offers 80% up to 98% AFUE rated furnaces. If you are considering going with electric heat, then check out our webpage on heat pumps.